After many years at her landmark La Brea location, Rita Flora has moved to a beautiful studio in Hancock Park where each order can be personally crafted and perfected. I know you will love their personal service. 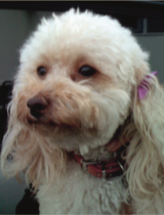 Rita invites all customers to come by, but requests that you make an appointment at (323) 938-3900. Once in the studio, the aroma of fresh flowers fills the air and instantly brings a smile to your face. Rita takes a lot of pride in her work and enjoys creating beautifully arrangements to meet the needs of her clients. 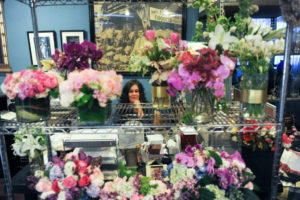 In addition to their studio, there are three kiosk locations across the city where customers can pick up fresh cut flowers seven days a week. Check out her website for more info and location details. With Mother’s Day around the corner, consider getting the special mom in your life a beautiful hand crafted bouquet from Rita Flora. Mention this blog and receive a 10% discount on a Mother’s Day bouquet! Rita Flora bloomed from a long line of innovative flower shops in Los Angeles. Rita is proudly a third generation florist. Both sets of her grandparents began as immigrants selling flowers in Los Angeles, and later Rita’s parents continued the tradition and passed it on to her and her siblings. The love for flowers is in the DNA.